Health and safety is becoming more and more important in today’s working society. There are now swathes of complex and time consuming regulations, and it’s always as vital as ever to look after both yourself and your staff. The Management of Health and Safety at Work Regulations 1999 stipulate that health and safety risks in the workplace should be successfully managed, whilst the business as a whole complies with a minefield of rules and regulations. The obvious primary importance here is to maintain the safety and wellbeing of those who work within the premises. However, making health and safety a priority can also limit staff/client accidents, and therefore limit the opportunity to have claims for damages and compensation taken against you. The costs of his occurring can be crippling for any small to medium size business. Unfortunately, it isn’t as simple as a few paragraphs. The only real way to comply is to understand all regulations, and to do some thorough research on the HSW Act, rules and regulations to fully understand what you need to do. This can be an incredible burden for business owners, and a task in which you could seek the help of an expert. Due to these reasons, and due to the importance of complying with the regulations and keeping staff safe, it can be worth investing in professional help from a business or specialist which has in-depth knowledge of the latest health and safety procedures. So, what sort of health and safety services are there available to help? Health & Safety auditing. An audit from an expert allows you to periodically find out if your business/premises is still fully complying with health and safety laws. It also helps you be aware of recommended or essential improvements so you comply with the law and keep workers as safe as possible. Health & safety consulting. Seek the help of an expert to formulate emergency strategies, suggest solutions to hazards, help with H&S documentation and more. Competent person service. Hire an expert as your businesses assigned ‘competent person’ (required by law) to oversee and manage all health and safety elements. As you can see, there are many health and safety services available to businesses which can take the burden off their hands. 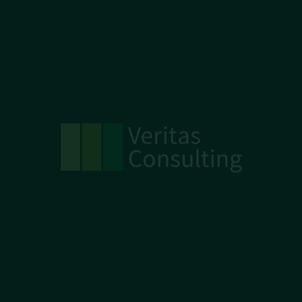 Veritas Consulting offer all of these services and more. We have trained and highly experienced health and safety experts who can make sure that you comply with all regulations. Plus, we charge a fee which is affordable for medium and small businesses. Click here to contact us to discover more about our health and safety services. I cant knock the factual content of this blog but it does not say anything more than the management regs 99 and acop. I am helping a friend run a business, he wants to know about the real world. How will this help him run his business, he cant relate to it, I have to interpret it for him. Really nice article on fire risk, not very many good blogs out there about health and safety. I work in radiation protection training and have a special interest in fire safety especially as many of the delegates that attent our courses work within the nuclear industries; where for obvious reasons safety is paramount and highly regulated.